If your ash tree is suffering from a deadly disease, knowing the initial signs and symptoms can help save your trees before it’s too late. When your tree starts experiencing symptoms of disease, call The Tree Doctor for residential tree health and tree care services in Des Moines and surrounding areas. Our specialists specialize in Emerald Ash Borer infestations and can save your tree before it’s too late. What does an ash tree look like? It is easy to identify an ash tree by looking at the pattern of leaves and the formation of the branches. Typically, an ash tree will have two different branches that grow opposite from each other on one main stem. The ash tree branching pattern commonly resembles a slingshot or the letter Y. Ash tree leaves have a set of compound leaves, usually 5-9 on one branch, that are joined together by one main branch. 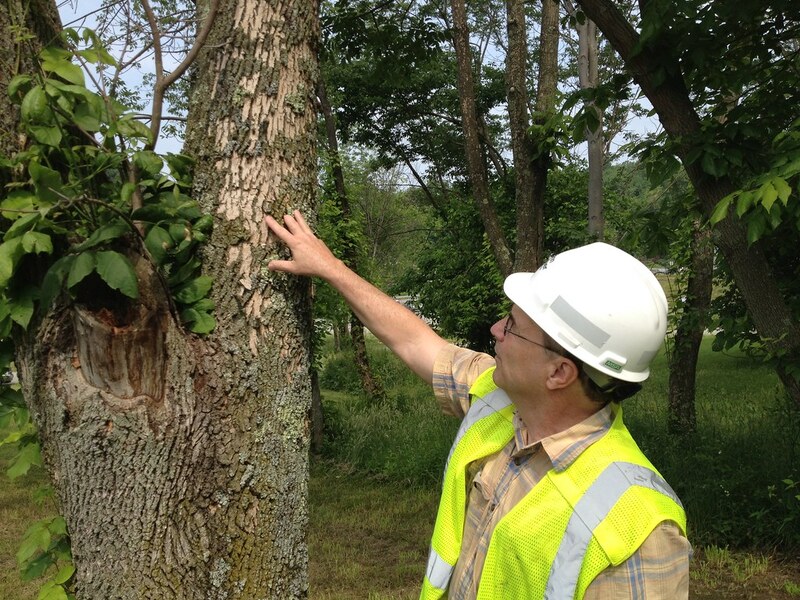 It is important to be able to recognize an EAB beetle on your ash tree. The EAB beetle is easy to identify because of it’s bright metallic emerald green colored body, with a copper colored abdomen. Adult EAB beetles have wings that are usually reddish in color, and they typically grow to be 10-13 mm in length. When your tree starts to show dead branches throughout the canopy, this could be a sign of EAB. Larval feeding will affect the nutrient and water flow throughout your ash tree’s upper canopy. 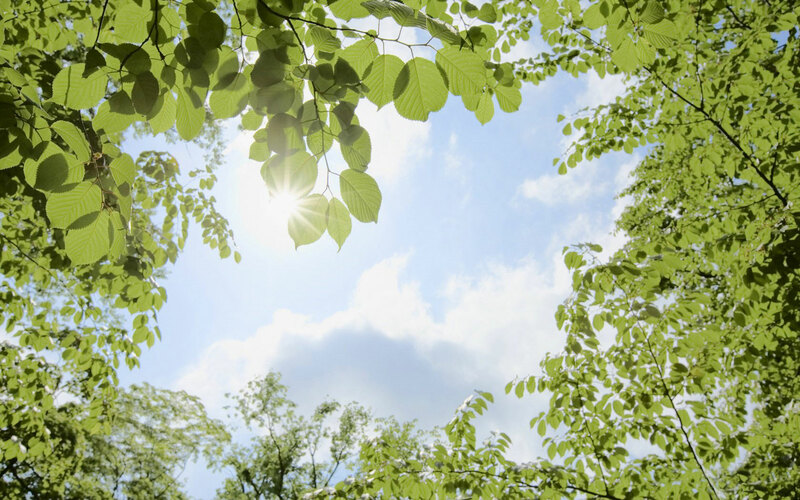 When the water flow is cut off to the upper branches, you will start to notice leaf loss, leaf discoloration, thinning in the upper canopy, and canopy dieback. EAB infested trees often grow an excessive amount of “green shoots” on the lower tree trunk. This symptom is easy to detect because as the green shoots grow on the lower tree trunk then the canopy will start to thin out. You might start to notice bark splitting, woodpecker holes, and S-shaped tree trunk markings when your ash tree is infested with EAB. Bark splitting is caused from tissue developing around the larvae. Woodpeckers often flock to trees with EAB because they are infested with larvae underneath the bark. When the EAB larvae is crawling underneath the trunk they will often create s-shaped markings called “galleries.” Sometimes the galleries can be hard to detect unless the outer layer of bark is pulled away. Contact The Tree Doctor in Des Moines for professional EAB treatment for your Central Iowa ash trees. Our professional tree specialists are experts in EAB treatment and we also treat a variety of other tree diseases, including Oak Wilt, Pine Wilt, Dutch Elm Disease, and Apple Scab. Don’t wait – call our specialists today to save your trees before it’s too late!